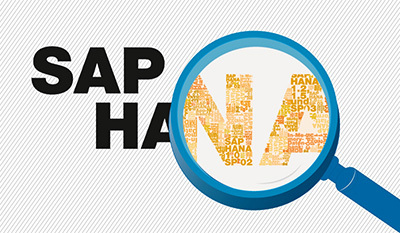 Last month we talked about why HANA and Analytics should be on your IT Roadmap. This month, we will dive down to show how Rapid Deployment Solutions (RDS) drives results in the shortest period. We are assuming that most of you understand that HANA and Analytics is an evolving process; start small, get some wins and then continue to roll it out to other areas. The most difficult question to answer is where to start? Where you need to move from uncertainty to clarity, like delivery dates for sales order backlog. A need for predictability rather than chaos. Time-consuming or complex processes due to disaggregated systems. The problem one of our clients (a multi-billion dollar HVAC manufacturer) had was split deliveries due to product availability. This situation increased shipping costs, and blewup on-time delivery metrics. Unfortunately, the problem was being treated as “business as usual,” as they did not have the ability to change the process. Our customer needed some fresh insight into their problem, so they implemented this process on the HANA Live RDS. The expectation was that HANA would provide clarity and predictability about which orders should be changed to consolidate the shipment and allow them to hit their delivery promises. What does HANA Live RDS deliver? It provides analytical solutions to enable real-time operational reporting with SAP Business Suite applications. SAP HANA Live RDS provides implementation methodology, best practices guidance, tools and pre-built reports to support faster and easier implementations. HANA Live provides pre-delivered content, similar to pre-delivered BW content, and tools that help to work through the complexities of joining relevant data from multiple functions or areas into your data model. In our example, we leveraged the Virtual Data Model for SD to focus on the sales orders that could cause split shipments and create additional shipping and delivery costs and delays. Technically, this process would take weeks to aggregate the right data and tables, but with RDS and the pre-delivered content and tools, it now only takes days for us to build this data view. The drag-and-drop functionality of the reporting and analytical tools enables you to view specific orders in real time to make the necessary changes to optimize the delivery process. These changes to the delivery dates reduced their split deliveries by more than a third and improved on-time customer shipments. HANA RDS provides the speed, flexibility and tools to implement this solution quickly and economically. What would you do differently if you could re-imagine your business processes? Close the books daily or hourly? Analyze on Actual Cost vs. Standard Cost or Moving Average? Use real-time or spot pricing for sales orders? Pay employees daily, not periodically? What are the possibilities in your business? Next month, we will look at some of the HANA Live reporting tools that enhance the user experience and accelerate the decision and analytical process. For more information on how Titan’s HANA and Analytics solutions can re-invent your business, contact Joseph Lamb, joseph@titanconsulting.net, or 972-743-2872; or contact your Titan Consulting Director. You can also see additional information on our Advisory Services for HANA at Titan Consulting, https://www.titanconsulting.net.